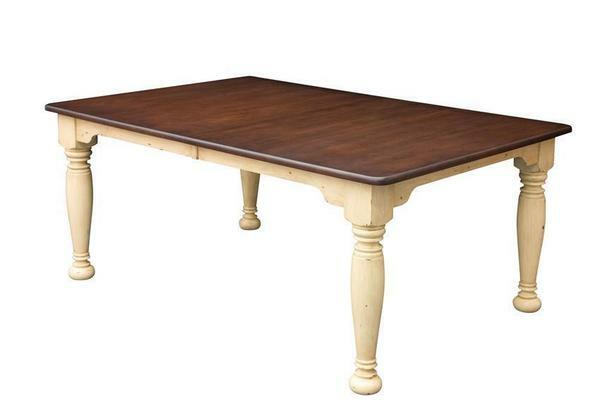 DutchCrafters Belleville Amish Legged Table has a beautiful look that brings some French charm into your dining room or kitchen dining furniture. Choose from three chunky 4 1/2" leg options to complete the look. Choose from a variety of finish options such as the one shown in oak wood with a Sealy stain or a two-tone painted finish on brown maple. The possibilities are endless on our many options to customize the look you want for your dining room table. If you are looking for dining room chairs to complement this Amish table then we have a wide variety to choose from.